Published by Wargaming America Inc. The application is the World of Tanks gamers' right hand. 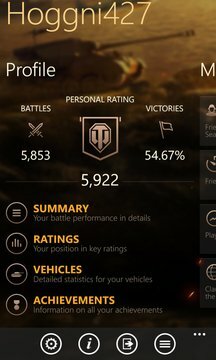 Assistant for World of Tanks is the official mobile application from Wargaming.net Team that provides instant access to the most important information from the fields of World of Tanks. • Follow the project latest news. 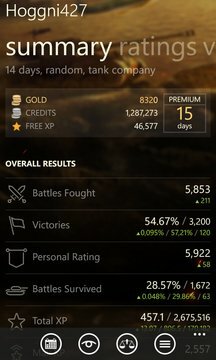 Assistant for World of Tanks is the sure-fire way to get relevant information any time online!